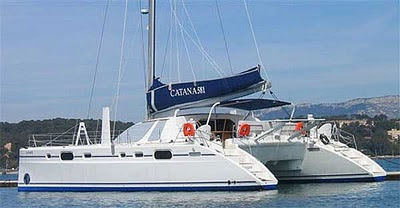 Luxury Catamaran ALIDADE SPECIAL is offering a 15% discount for charters during the month of April. Alidade is a 58' Catnap Luxury Catamaran built in 2004. She can accommodate 8 guests in 4 cabins. The master cabin aft has a king bed, shower and head. Another 2 cabins have a double bed, shower and head. The fourth cabin aft has a king bed that converts to two twins, shower and head. Forward cabins have 2m X 1.6m berths.The trade-winds will make you discover lagoons with warm crystalline waters. You will sail from island to island at your own pace. Berthing in the most beautiful bays of Guadalupe, the Grenadine Islands, the Virgin Islands, St-Barth or the Rogues archipelago.